If your future includes a move to Cypress, check out Meathead Movers! Our professionally trained student-athlete movers, moving concierge, and princess packers are prepared to get you safely moved into your new Cypress home. 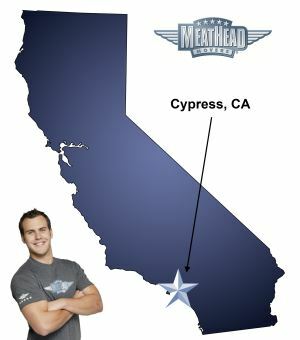 When you make your move to Cypress, be sure to contact Meathead Movers. No matter what type of moving service you need, our student-athlete movers are ready to handle all your moving needs. Whether you are relocating to Cypress from another city or simply moving across town, our Cypress movers will eliminate the worry and make the transition as smooth as possible. There are many reasons for moving to Cypress: proximity to the beach, a thriving business community, low crime rate, beautiful Cypress trees, and its superior educational system. Chief among the incentives, however, is the emphasis the city places on enhancing quality of life for its residents. The city’s Recreation and Park District hosts a variety of leisure programs for all ages. Playgrounds, a senior center, eight neighborhood parks, a sports complex and a community center offer activities ranging from skateboarding to a Valentine’s Day bake sale to a senior chorus. Residents and visitors that are looking for a little more thrill, can enjoy the excitement of thoroughbred and quarter horse racing at the Los Alamitos Race Course. Knott’s Berry Farm, Knott’s Soak City USA, Seal Beach, and Buena Park Mall, are all great entertainment venues that are only a short drive away. Cypress is devoted to the arts with the Cypress Civic Theatre Guild producing live community theatre and live music during the Summer Concerts on the Green series. Another eagerly anticipated event that brings the community together is the annual Cypress Community Festival held in honor of the city’s birthday. Whether you are moving into a single-family home, a luxury apartment, or a secure senior housing community, our goal is to make moving to Cypress as easy and stress-free as possible. That’s why we appoint your own personal moving concierge to help coordinate all aspects of your move. We can help with all moves whether it be in local, long-distance, or commercial, We also provide reliable packing, storage, on-site relocations, and our distinctive moving concierge service. Our clean-cut student athletes from Cypress College and nearby California State Universities are trained professionals when it comes to transporting your belongings. Hard-working and efficient, our Cypress movers jog when they’re not carrying anything. We have so much confidence in our Cypress movers that we offer a 100% satisfaction guarantee. So contact us today for a free no-obligation moving quote and learn how we can help you on your next move! Moving to Cypress? Here are some helpful resources. Everything. Everyone professional and gave great service. We thought you guys would. And you did not disappoint. The young men were very professional, sweet, efficient and fast.